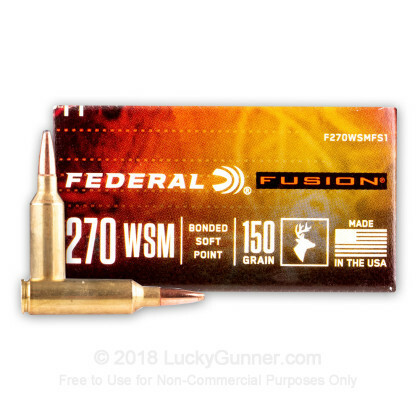 Federal Fusion ammunition delivers the accuracy and terminal ballistics that hunters need at a reasonable cost. 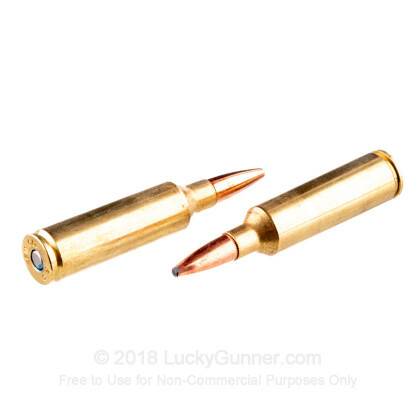 It is named for its bullet design, which "fuses" the core and jacket together at the molecular level to keep them together as they strike a deer or other animal and expand into a mushroom shape. 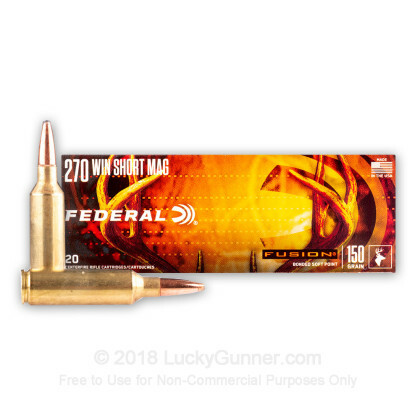 This provides maximum weight retention and delivers the most energy possible to the target, ensuring that a well placed shot will achieve a clean kill. 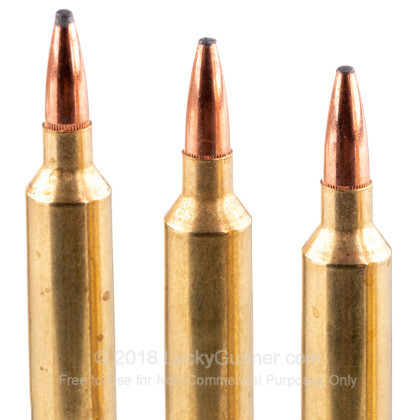 These .270 Winchester cartridges fire a 150 grain version of the Fusion bullet at a muzzle velocity of 2,850 feet per second. 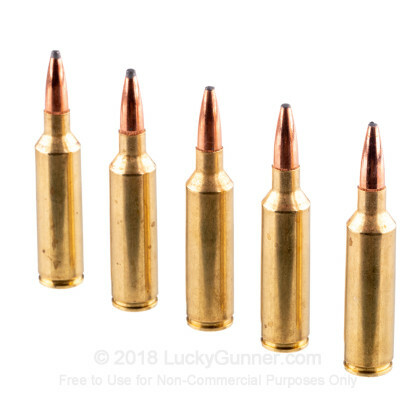 This results in good long-range accuracy and reliable expansion. 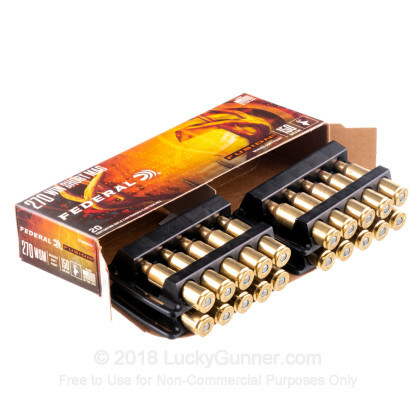 Fusion ammunition is loaded at Federal's longtime headquarters in Anoka, Minnesota using non-corrosive Boxer primers and reloadable brass cases.